At Dream Construction, located in beautiful Las Vegas, we specialize in salon and spa remodels. 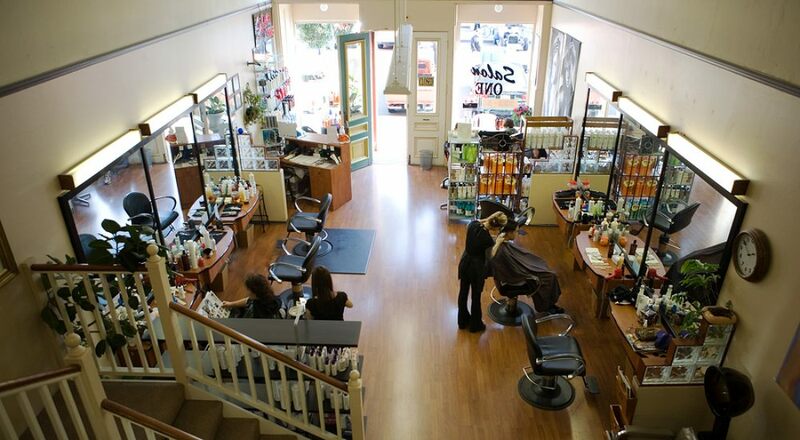 We can take your plan for a perfect salon expansions or spa renovation and make it a reality. Let us help you attract your ideal clientele, make room for more stylists, or replace those parts of your salon that are costing you money by building your dream salon or spa in order to make you money. Change of ownership or new management. Desire to provide popular private studio salons. Fresh new look to attract high-end customers. More stations for hair stylists or nail technicians. To include private rooms to rent to estheticians, massage therapists, hair stylists, and other professionals. To make room for hair stylists and estheticians providing in-demand .services like eyelash extensions and hair extensions. To provide a more attractive waiting area for clients. Workers complaining about needed repairs. You want your salon or spa to attract your ideal clientele and to keep your employees happy and in place. We can help you make that happen. It is your salon, so why not make it just the way you like it? Give it a little bit of your personal flair, your style, your quirky personality, or peaceful demeanor. A salon renovation can involve a new store front, an addition, or can start from the ground up with Dream Construction as your Las Vegas salon and spa builder. Making the environment more relaxing for the client will bring them back repeatedly. Are you looking to add some zen to your spa, some youth to your nail tech area, or some elegance, class, or cutting edge modernism to your hairstylist stations? Give your clients what they want to see and they will want to return to sit in your comfortable chairs and enjoy the environment you have chosen. Dream Construction can create this dream for you with a salon or spa renovation that suits your vision. Let Dream Construction make your Las Vegas spa and salon remodel a dream come true. With a nicer salon and spa more clients will be drawn in and with more clients comes more referrals and more income on the bottom line. Contact us and get started today.